Although any kind of extension provides a versatile space that can be used in many different ways, certain kinds of extensions lend themselves to different uses. Below we look at the most usual types of extensions, their benefits and some of the uses that you can put them to. The extensions include side extensions, rear extensions and wrap around extensions. Many properties have land to the side of their home that is not being utilised for anything very useful. By incorporating that space into your home with a single story side extension you can add to your living space significantly. Not only will a side extension increase the size of your home, it will also add a considerable amount of value to it too. Side extensions can be used for many different purposes. You can use it to increase the space in your existing rooms or you could use it to modify or even completely reorganise the way in which you utilise your interior floor space. Modern living is very different from what it was when those older houses were built. Today the trend is for flexible space that includes the kitchen, dining, and living areas and that is the hub of family life. 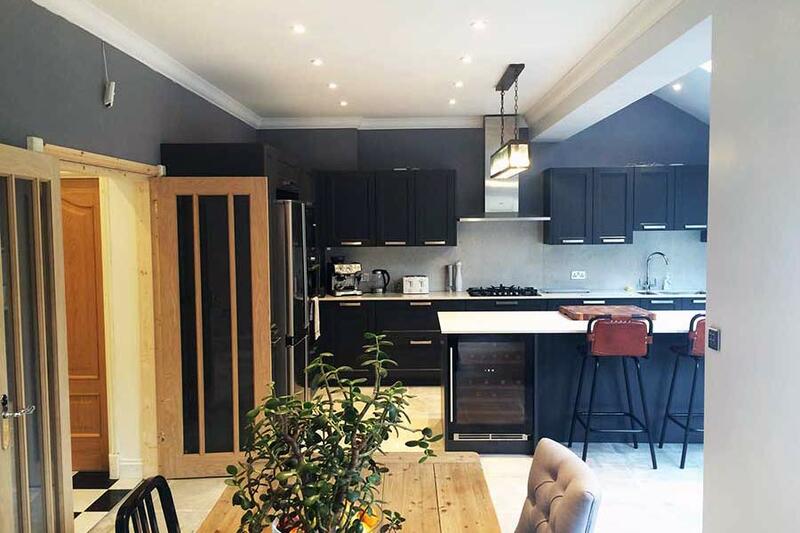 Many older properties are ideal for creating side extensions that are truly transforming not only to the size of your kitchen but to the whole of your life style. Another option is to build a double storey side extension and use it to add an additional bedroom or bathroom upstairs. You might even consider using a double storey side extension to create a ding room with a spectacular ceiling height. Side extensions can also be used for adding a dining room, an extra bedroom, a home office or a games room; but whatever you use if for a well designed and constructed side extension will feel as if it is a natural part of your home and not something that has been simply grafted on; it will look and feel that it has been there ever since the house was first built. Single story rear extensions are for many homeowners the best was to increase the ground floor area of their home. Not only will a rear extension add significantly to your floor area, it will add considerably to the value of your home. Many homeowners choose to add a rear extension rather than move to a larger house. Many homes have sufficient space in their gardens to create a rear extension while still being able to keep sufficient land to enjoy the outside. 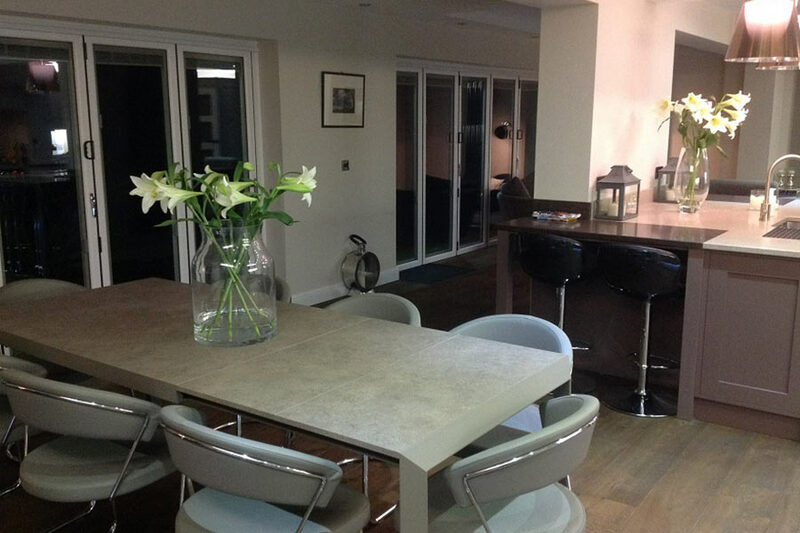 In fact many designs of rear extension are a great way to bring that space into your home. You can use that extra space to add an extra room or more than one room which you could use as an extra bedroom with an ensuite, a dining room, a living room, a family room or even a home office. Alternatively you could use it to create a larger living room or to combine a living room with a dining room to form a large open plan living space. If you are using a rear extension to increase the size of an existing room, then you will need to consider light. You will need to design the extension so that it doesn’t rob your existing space of natural light. This also depends to a large extent on which direction your house faces; a rear extension on a north facing rear will have a greater affect on reducing ambient light than on built into a south facing back garden. Either way it is generally beneficial to incorporate more light using large windows and French or patio doors. You might also consider adding an additional bedroom upstairs by building a two story rear extension, or you could prepare for adding an extra story at a later stage by building deeper foundations. Building a double story rear extension will always be more expensive than a single story, but it will be considerably less than twice as expensive; that additional storey could be much cheaper than you might think. Wrap around extensions are created by combining a side return extension with a rear extension. Essentially they involve taking the rear wall of your property into the rear garden while building the side wall closer to the border that you share with your neighbour, creating an additional L shaped space. Today the trend is to utilise wrap around extensions to create open plan living space which offers a completely new take on family life. With an open plan wrap around extension you can create a wonderful spacious area where every part of it is illuminated by natural light. 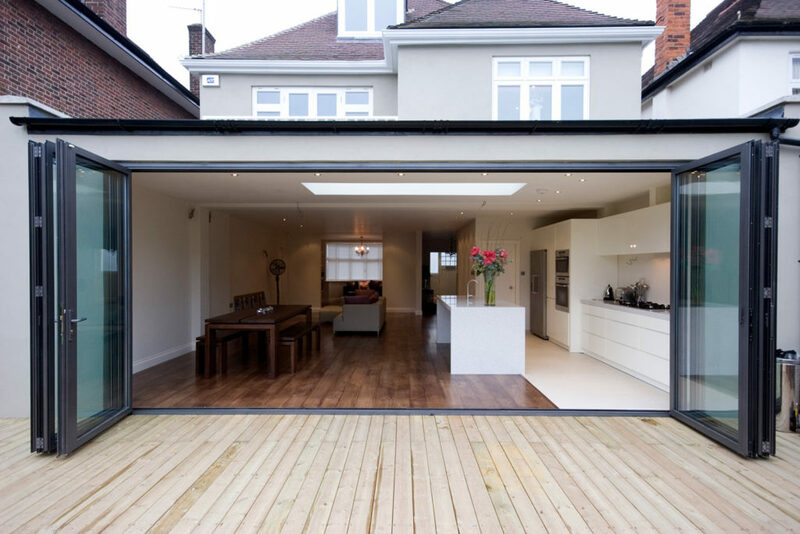 As there are fewer internal walls sunlight can spread through the space and modern open plan extensions are designed to make the maximum use of natural light. Open plan living is a great boon to family life and it creates a greater sense of togetherness. Not only that, but the space created by a wrap around extension looks great and modern; it is also easy to maintain and to keep clean and tidy and perfect if you like modern minimalist style interior design and decor. Of course open plan living isn’t for everybody. You can utilise a wrap around extension to remodel your entire floor plan. You can increase the size of your kitchen, add a dining room, and extend your living room. You could even add an extra bedroom or guestroom. When you are planning a wrap round extension you will need to consider the overall balance of your home in terms of the number of upstairs bedrooms compared to the downstairs floor area. Total Extensions in Tunbridge Wells would be please to discuss this with you. Building a wrap around extension will always be more disruptive than adding just a side or a rear extension, but it is the most flexible of all too and can add a huge amount of value to your home.